What is Wrong with the OEM Converter? 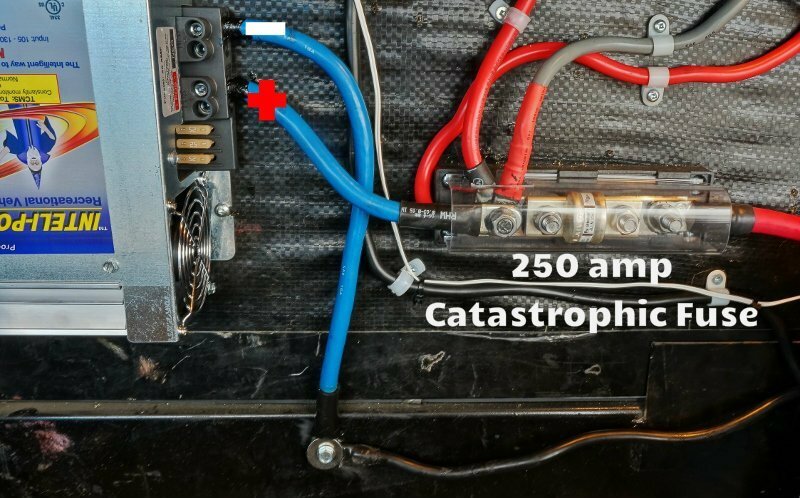 I’ve always suspected that the manufacturer installed power converter in our Keystone Cougar fifth wheel did a poor job when it came to charging our batteries. They never seemed to pack the punch I felt they were capable of. 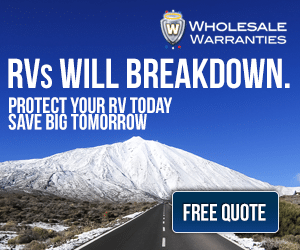 This suspicion was confirmed when I installed a Trimetric battery system monitor and could get an exact reading of the voltage and current supplied. The maximum charging voltage I ever see from the stock WFCO converter is 13.6 VDC but my large 6-volt golf cart style lead acid batteries need voltages as high as 14.4 – 14.8 to properly charge. 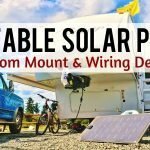 IMHO the original converter was never giving the batteries a complete charge and is terrible for boondocking, especially with a larger battery bank like I have. 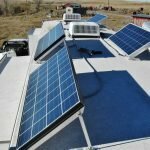 Now that I’ve installed 400 watts solar system with its own charge controller capable of reaching the proper charging voltages my battery bank is performing much better and I’m a happier dry camper. The only problem is when the sun isn’t shining or we are being power pigs I rely on our Champion generator to recharge the battery bank. Then we are back to using the lame OEM charging system. 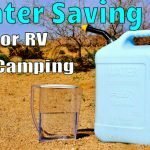 It may be fine for folks who use full hookup RV Parks and only occasionally head off the grid. But for serious dry campers, I find it woefully inadequate. 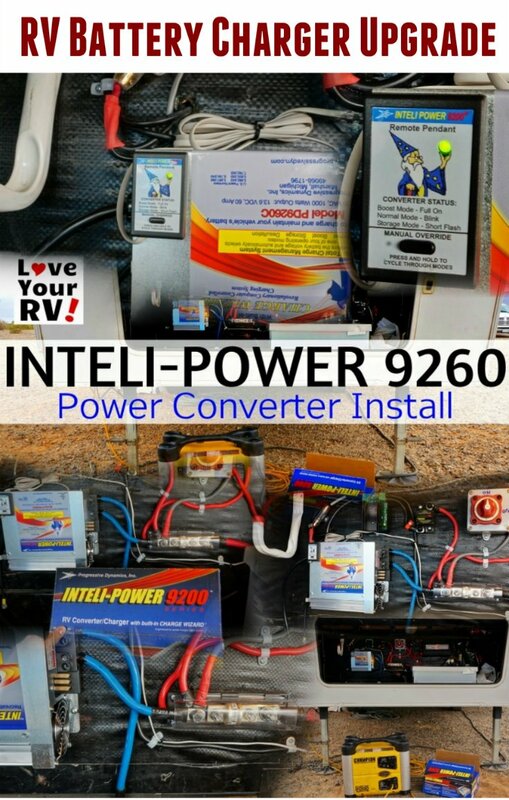 By upgrading to a Progressive Dynamics INTELI-POWER 9200 series power converter, I hope to get a much-improved charge from my generator. 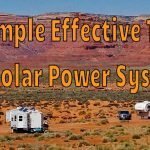 Not only will it save on fuel, wear and tear on the generator it will also extend the life of the batteries since they will be getting a complete charge more often. Why I Picked the INTELI-POWER 9200 Series? 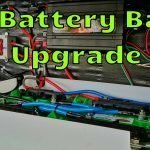 Other than just being a very well built unit the Progressive Dynamics 9200 series has a few great features that are a big help to boondockers needing to quickly charge up their battery banks. 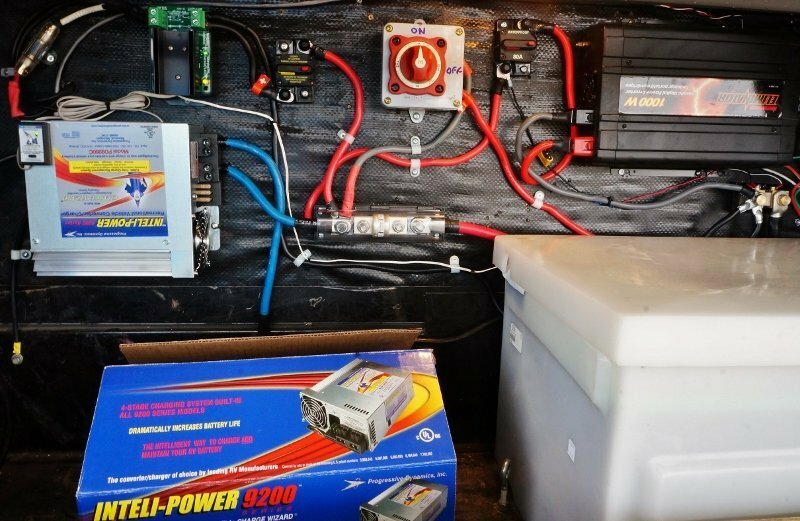 The idea is if the battery bank charge state is really low in the morning to use the generator converter combination to quickly bring it back to around 85 -90 % capacity. 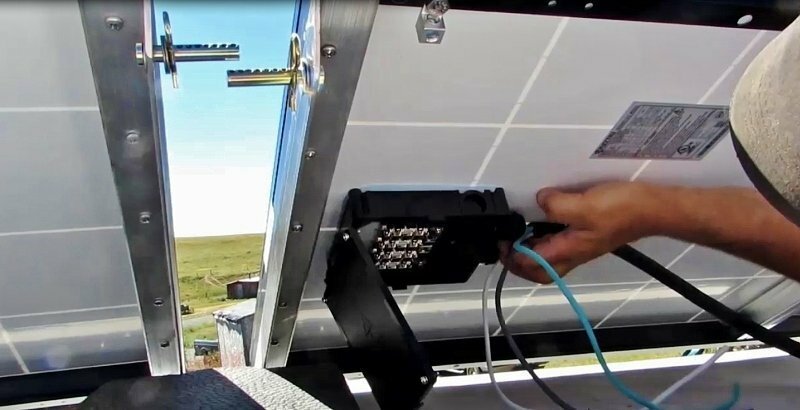 Then let the solar charge controller take over to finish charging slowly over the course of the day. With the aid of the Charge Wizard remote pendant, you can manually place the PD9260CV into 14.4-volt boost mode to decrease the charge time. Of course, some caution is needed with its use as you may overcharge the batteries. Make sure to check, not all models come with the pendant. The 9200 series comes in several output amperages. I chose the 60 amp model so it would have enough current capacity for my 464 AH battery bank. 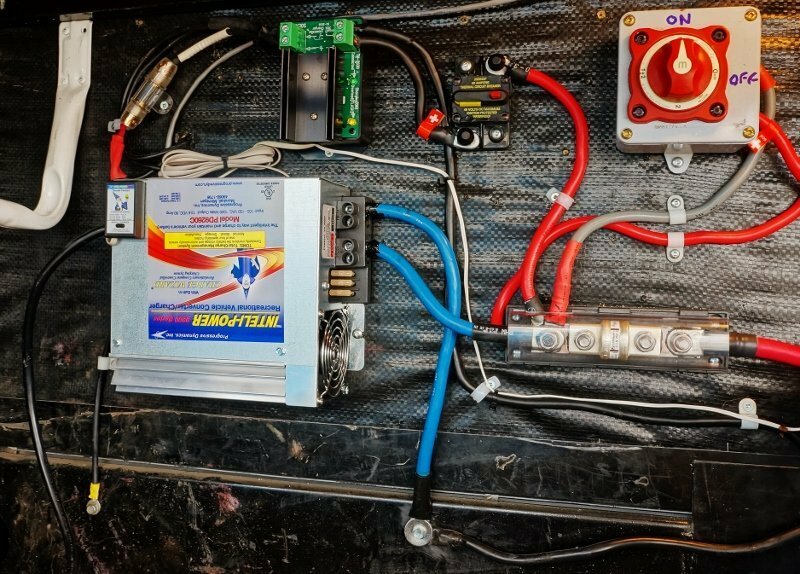 I decided to install the new converter in our fifth wheels front storage compartment as close to the battery bank as possible. This accomplished 2 important things for me. One it reduces the power losses due to wiring, my old converter is under the stove and about 20 feet of wire away. Two, we don’t have to hear the cooling fan noise. The OEM converters fan is most annoying since it is located in our living area. When using the new converter, I’ll plug it into my generator using an extension cord run out of the front compartment. Down the road, I plan to add an outside receptacle for convenience. I screwed the converter to my compartment’s rear wall only about a foot away from my battery box. Next was to add ground wires for the negative 12-volt output and converter case ground, plug in the data line for the pendant and hook up the positive 12-volt output. Finally, I used the 3M tape backing to mount the remote pendant onto the converters case. 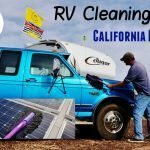 Luckily for me, I was boondocking with my good friend Eddie owner of Mobile Homestead Solar Services. He assisted me with the install and even rewired my battery bank and installed a catastrophic fuse into my growing 12-volt power system. Now the wiring is properly sized (even bigger than I actually need) with professional connections and looks awesome! I was able to test out my new converter charger pretty quickly. Soon after installing it our desert boondocking skies became cloudy and a rain storm moved in. The next morning it was still socked in and our battery bank was pretty depleted. I tried charging the batteries with the old converter versus the new INTELI-POWER on both auto and manual boost mode. The old converter was charging at 13.4 volts and 10.8 amps. The new PD9260CV converter charged at 13.6 volts and 27.6 amps, and then when manual boost was activated I saw 14.4 volts at over 40 amps! I was impressed. 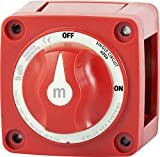 This will mean much-reduced generator run time when charging. 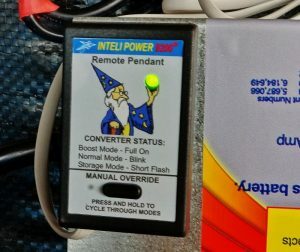 I ran the new INTELI-POWER charger for several hours and it work flawlessly while only getting barely warm to the touch. 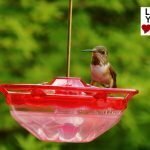 A big two thumbs up on this product from Love Your RV!